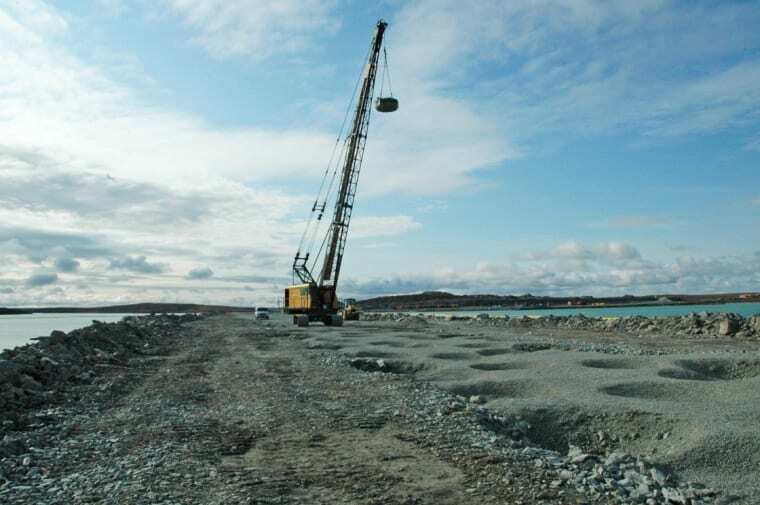 Menard Canada was awarded by Fernand Gilbert Ltd for the dyke’s soil improvement so they can increase the capacity of the Meadowbank mine located near Baker Lake, Nunavut. Considering the climate and location, the ground improvement had to be done on 3 phases, every summer from 2008 to 2010. Two techniques had been used to reach the criteria of soil densification, Dynamic Compaction and Vibro-replacement. 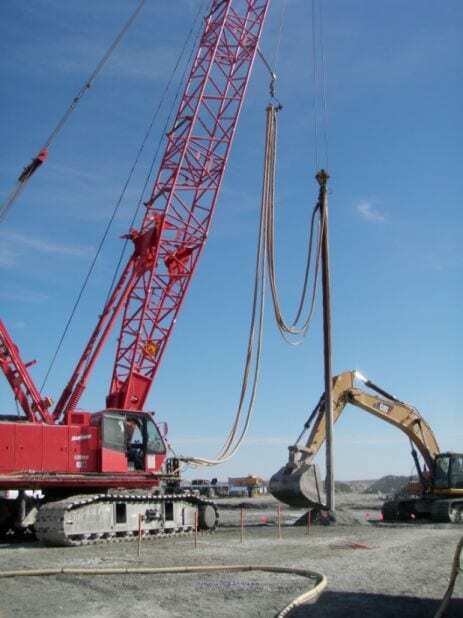 To reach 9 to 10 metres of improvement, Menard Canada used a 15 tonnes mass dropped by 18 metres. For higher depth, Menard Canada used the vibro-replacement to compact from 4 to 16 metre of soil, mostly sand and gravel with traces of silt, and then compacted the 5m at the surface by Dynamic Compaction. The material used to fill the stone columns was crushed soap stone, which was the first time that Menard Canada used this kind of material. In 2010, more than 2 kilometres of dyke were treated by Dynamic Compaction and 3000 linear metres with stones columns.